He was the greatest Indian warrior of the nineteenth century. His victory over General Custer at the battle of Little Bighorn in 1876 was the worst defeat inflicted on the frontier Army. And the death of Crazy Horse in federal custody has remained a controversy for more than a century. At the center of the story is Crazy Horse himself, the warrior of few words whom the Crow said they knew best among the Sioux, because he always came closest to them in battle. No photograph of him exists today. The death of Crazy Horse was a traumatic event not only in Sioux but also in American history. 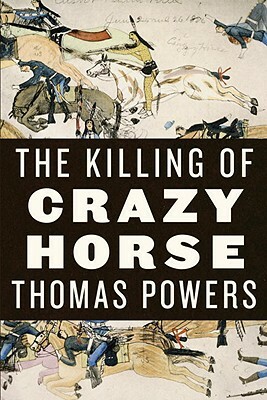 With the Great Sioux War as background and context, drawing on many new materials as well as documents in libraries and archives, Thomas Powers recounts the final months and days of Crazy Horse’s life not to lay blame but to establish what happened. "I cannot recommend this book highly enough. Thomas Powers has done an excellent job of research, searching small details and manuscript collections. In addition,he can engagingly write about what he has found in his research--it is not every researcher who can research and write,as my years of reading history have shown me. " Meet Thomas Powers tonight at 7:30 at our Historic Lodo Store as part of the Rocky Mountain Land Series. “With eighty men I could ride through the entire Sioux nation.” The story of the Fetterman Fight, near Fort Phil Kearney in present-day Wyoming in 1866, is based entirely on this infamous declaration attributed to Capt. William J. Fetterman. Historical accounts cite this statement in support of the premise that bravado and contempt for the fort’s commander, Col. Henry B. Carrington, compelled Fetterman to disobey direct orders from Carrington and lead his men into an ambush by an alliance of Plains Indians. In the aftermath of the incident, Carrington’s superiors positioned him as solely accountable for the “massacre” by suppressing exonerating evidence. In the face of this betrayal, Carrington’s first and second wives came to their husband’s defense by publishing books presenting his version of the deadly encounter. Although several of Fetterman’s soldiers and fellow officers disagreed with the women’s accounts, their chivalrous deference to women’s moral authority during this age of Victorian sensibilities enabled Carrington’s wives to present their story without challenge. In this fascinating book, Shannon D. Smith reexamines the works of the two Mrs. Carringtons in the context of contemporary evidence. Fetterman emerges as an outstanding officer who respected the Plains Indians’ superiority in numbers, weaponry, and battle skills. 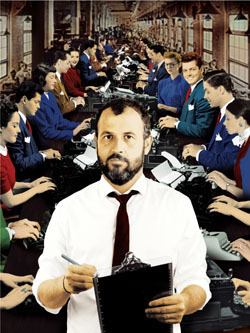 Give Me Eighty Men both challenges standard interpretations of this American myth and shows the powerful influence of female writers in the nineteenth and twentieth centuries. In June of 1876, on a hill above a winding river called "the Little Bighorn," George Armstrong Custer and all 210 men under his direct command were annihilated by nearly 2,000 Sioux and Cheyenne. This devastating loss caused an uproar, and public figures pointed fingers in order to avoid responsibility. Custer, who was conveniently dead, took the brunt of the blame. The truth, however, was far more complex. A TERRIBLE GLORY is the first book to relate the entire story of this endlessly fascinating battle, and the first to call upon all the vital new forensic research of the past quarter century. It is also the first book to bring to light the details of the army cover-up--and unravel one of the greatest mysteries in US military history. The Powder Ridge country of north central Wyoming was one of the most resource-rich regions of the northern plains in the nineteenth-century. As U.S. mining interests and white settlement to the north of the Montana Territory increased, conflict arose between the United States and the Lakota and Cheyenne nations. On December 21, 1866, the struggle climaxed when a well-organized force of Lakota, Cheyenne and Arapahos attacked and destroyed a detachment of infantrymen. The Battle of Where a Hundred Soldiers Were Killed or Hundred in the Hand, as the event is still called, was the worst defeat the U.S. Army had suffered in the Great Plains, only to be exceeded by the battle of Little Big Horn ten years later. In his powerful yet compassionate voice, Pastor Rick Warren sounds the clarion call to "remember the reason for the season," taking readers back in time to the most wonderful story of all -- the birth of the baby Jesus. When he was just a small boy, young Rick asked his parents if they could celebrate Christmas with a birthday party for Jesus -- and the tradition began that the Warrens have upheld for over fifty years. Now through stirring imagery and compelling personal insights, The Purpose of Christmas honors the significance and promise of this cherished holiday. Pastor Warren encourages readers to identify and confront what drains peace from their lives. Warren explains that the way to respond to these peace-robbers is to learn how to surrender to God's will and not feel defeated or discouraged when life does not go as planned. True peace of mind is found by having an unshakeable faith in God -- knowing that his empowering Spirit will guide his children through life's challenges. Beautifully written, The Purpose of Christmas will stir readers to honor the true significance of Christmas and to nurture God's gifts of love and peace in this world. You may be surprised to know the true Saint Nicholas. You'll never again think of Santa Claus in quite the same way. An instant classic by one of America's most respected thinkers, The True Saint Nicholas is a book to be shared with family and friends every year to evoke the true spirit of Christmas. Swaddled in a sweet poem and wrapped in beautiful illustrations, The Legend of the Christmas Kiss delivers a surprisingly fun tale about how the angels sent a beautiful snowfall on the very first Christmas. It all begins with one little angel who wants to bless the newborn Jesus with a gift -- her kiss. But something special happens to her kiss after passing through the clouds below -- it becomes a glistening speck, drifting down and landing on the Christ child's cheek. Then as multitudes of angels add their kisses to hers, the earth is covered in a winter wonderland. Barbie Jenkins' kid-friendly story is joyously paired with illustrations by Joyce Revoir whose cheerful art is featured in numerous children's books. Stop, You’re Killing Me! 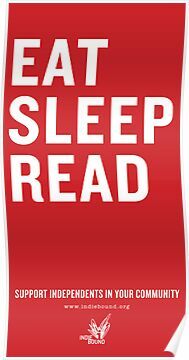 is a resource for lovers of mystery, crime, thriller, spy, and suspense books. They list over 3,200 authors, with chronological lists of their books (over 36,000 titles), both series (3,600+) and non-series. This book by President Barak Obama (penned before his presidency), has become the fastest selling children's picture book in Random House's considerable history. That's especially fantastic when you know that the proceeds of the book are being donated to a scholarship fund for the children of fallen and disabled soldiers. President George W. Bush's memoir Decision Points has passed the million copies sold mark after less than a month in print. He joins the elite circle of best selling presidents, which include President Bill Clinton for his book My Life and Barak Obama for both The Audacity of Hope and Dreams From My Father. The Book of Awakening Cancer survivor, poet, and philosopher Mark Nepo has consciously allowed life to move through him. The Book of Awakening is the result of his journey of the soul and will inspire others to embark on their own. Nepo speaks of spirit and friendship, urging readers to stay vital and in love with this life, no matter the hardships. Encompassing many traditions and voices, Nepo's words offer insight on pain, wonder, and love. Each entry is accompanied by an exercise that will surprise and delight the reader in its mind-waking ability. What is the connection between spirituality and weight loss? Best-selling author Marianne Williamson is about to answer that question for you in her groundbreaking new book, bringing you 21 spiritual lessons to help you surrender your weight forever. These lessons form a holistic paradigm for weight loss, addressing the spiritual, emotional, and psychological elements involved in what Williamson refers to as “conscious weight loss.” If you are a food addict, a compulsive eater, or someone who for any reason sees food as the enemy, this book is for you. The 21 lessons in this book will take you on a deep, sacred journey. One step at a time, you will learn to shift your relationship with yourself—and your body—from one of fear to one of love. And you will begin to integrate the various parts of yourself—mind, body, and spirit—to become, once again, and in all ways, the beautiful and peaceful person you were created to be. As Williamson writes: “When it comes to your enjoyment of eating, your best days are not behind you but ahead of you!” So get ready to begin a new relationship with food . . . and with yourself. For nearly five decades Barbra Streisand has been one of the most singular figures in American entertainment. From the cabaret to the Broadway stage, from television and film stardom to her acclaimed work as a director, from the recording studio to the concert hall, she has demonstrated that the extraordinary voice that launched her career was only one of her remarkable gifts. Now, in her first book, Barbra Streisand reveals another aspect of her talent: the taste and style that have inspired her beautiful homes and collections. My Passion for Design focuses on the architecture and construction of her newest homes, the dream refuge she has longed for since the days when she shared a small Brooklyn apartment with her mother, brother, and grandparents. The book itself, a culmination and reflection of Barbra's love of American architecture and design between the eighteenth and twentieth centuries, contains many of her own photographs of the rooms she has decorated, the furniture and art she has collected, and the ravishing gardens she has planned on her land on the California coast. In addition to glimpses of her homes, Barbra shares memories of her childhood, the development of her sense of style, and what collecting has come to mean to her. Tattered Cover booksellers have been known to burst into this song with very little provocation but plenty of hilarity. Now YOU can sing along with us, because it's allllllllllllllll good. A Local Favorite Comes Out With A Cookbook! "The newly released Vesta Dipping Grill Cookbook offers a different spin on Colorado cuisine and is, in fact, a gold mine of executive chef Matt Selby's eclectic and contemporary recipes. Front and center are the dipping sauces that have made Vesta a Denver icon. Dream about the silky red curry sauce that comes with the Madras grilled venison? Now you can make it at home, along with the golden ponzu shrimp (one of my favorite appetizers), the pecan pie salad, and the smoked and grilled duck breast." 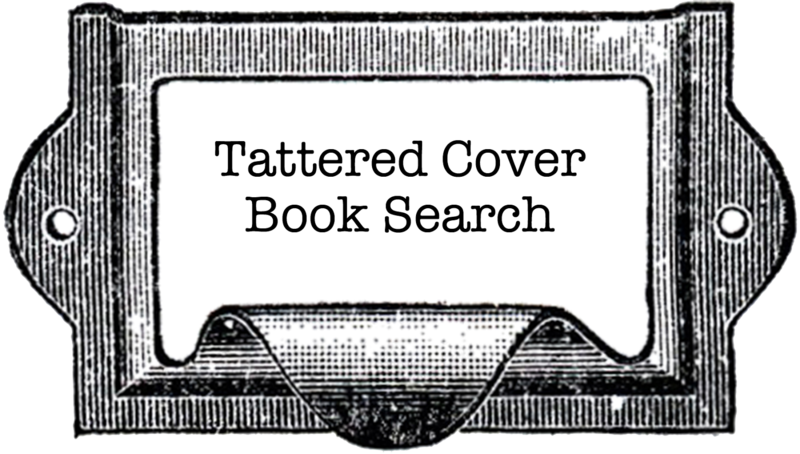 And read about our Local Author Coordinator, and definite non-cook, and her adventures with this oh-so-tempting cookbook at our Rocky Mountain Authors at the Tattered Cover blog. This book is so brand new we don't have it up on our website yet. But you can check out a cool "look inside the book" feature here, or check out their rocking behind the scenes video here. Or you can come visit or call any of our stores to get your copy! Don't forget to shop at your local small businesses today--it will make a BIG difference to your community. Learn more about it from our post this past Monday. Local Folks, It's Buy Local Week!!! Pick up the 2010 Holiday Shopping Guide at participating merchants to play Buy Local Bingo. You could win great prizes from local businesses, while investing in your local community.You can also download a printable version of the guide now. With your business, we thrive! TAKE THE LAL WRITING CHALLENGE! How has an author's work--novel, nonfiction, poetry--changed your view of the world or yourself? What did you learn about yourself that you didn't realize before reading the author's work? Don't write a book report. The author already wrote the book and knows what happened. What the author doesn't know is how you reacted while reading the book. Write about that--your response in a reflective, personal letter to the author! That is the LAL writing challenge. Each year, LAL awards thousands of dollars through state and national prizes, as well as LAL library grants. Last year, 70,000 young people entered. For more information on how you as a young reader or how your students can enter, browse through this site for sample letters and the how-to-enter guidelines and coupon. In 1841, a Japanese fishing vessel sinks. Its crew is forced to swim to a small, unknown island, where they are rescued by a passing American ship. Japan’s borders remain closed to all Western nations, so the crew sets off to America, learning English on the way. 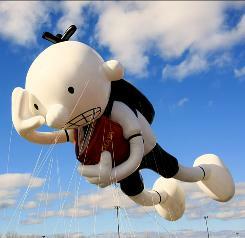 in the Macy's Thanksgiving Day Parade! Michael Korda's Hero is the story an epic life on a grand scale, a revealing, in-depth, and gripping biography of the extraordinary, mysterious, and dynamic Englishman whose daring exploits and romantic profile—including his sun-burnished blonde looks and flowing white robes—made him an object of intense fascination, known the world over as "Lawrence of Arabia." Yet unlike other biographers, Korda does not seek to burnish or destroy the legend; rather he aims to demystify and reveal the real man—T. E. Lawrence—as he truly was. An Oxford scholar and archeologist, one of the five illegitimate sons of a British aristocrat who ran away with his daughters' governess, Lawrence was sent to Cairo as an intelligence officer in 1916, vanished into the desert in 1917, and re-emerged as the greatest and most colorful figure of World War I. A foreigner, he united and led the Arab tribes to defeat the Turks and eventually capture Damascus. Yet as he illuminates Lawrence's achievements, Korda digs further to expose the flesh-and-blood man and his contradictory nature: A born leader utterly fearless and seemingly impervious to pain, thirst, fatigue and danger who remained shy, modest, and retiring; a scholar and an aesthete who was also a bold and cold-blooded warrior. Yet as Korda shows, Lawrence was not only a man of his times, but a visionary whose achievements—as a farsighted diplomat, brilliant military strategist, the first media celebrity, and acclaimed writer—transcended them. Korda analyzes Lawrence's vision for the modern Middle East, plans that, if they had been carried through, might have prevented the hatred and bloodshed that have become ubiquitous to the region. Ultimately, as his magisterial work demonstrates, Lawrence remains the paradigm of the hero in modern times, the arch-heroic types whose life is at once a triumph and a sacrifice, and whose capacity to astonish remains undimmed. Listen to Korda's "Talk of the Nation" interview on NPR. Listen to Schiff's interview with Michele Norris on NPR. Listen to Richard's interview about the book on NPR. What’s more fun for guys than reading comics? Making their own. Your Life in Comics lets boys ages 9–13 do just that. Inspired by the Free Spirit favorite 100 Things Guys Need to Know, this do-it-yourself comic book features cartooning exercises and prompts that get boys thinking about important subjects in their lives, including family, friends, school, health, and the future. Rather than provide the story, the book allows guys to decide what happens by creating words and drawings of their own. Some of the interactive exercises feature completed comic strip panels where boys imagine and write the dialog. Others let guys draw comic strips of their own. 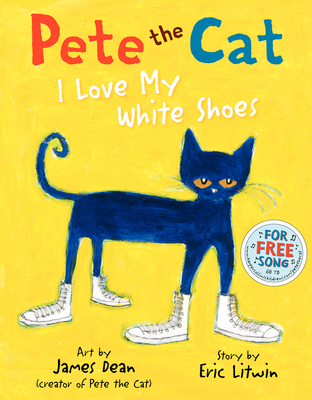 Freestyle activities let kids personalize the book and explore who they are. Web extensions point the way to additional fun, interactive resources online. 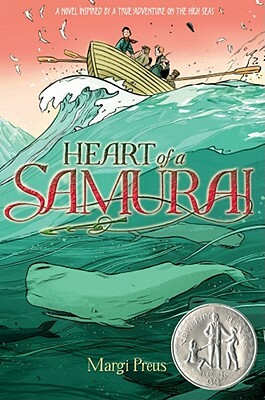 Comic books and graphic novels help educators and parents get reluctant readers interested in books. Your Life in Comics goes a step further and helps get guys thinking and writing about critical topics in their lives. Check out the author's amazing website! Check out The Bookshelf Muse--it contains truly wonderful things. Their "Thesaurus" collection contains "volumes" on Emotional, Setting, Color/Textures/Shapes and Symbolism. Fascinating and wonderful. 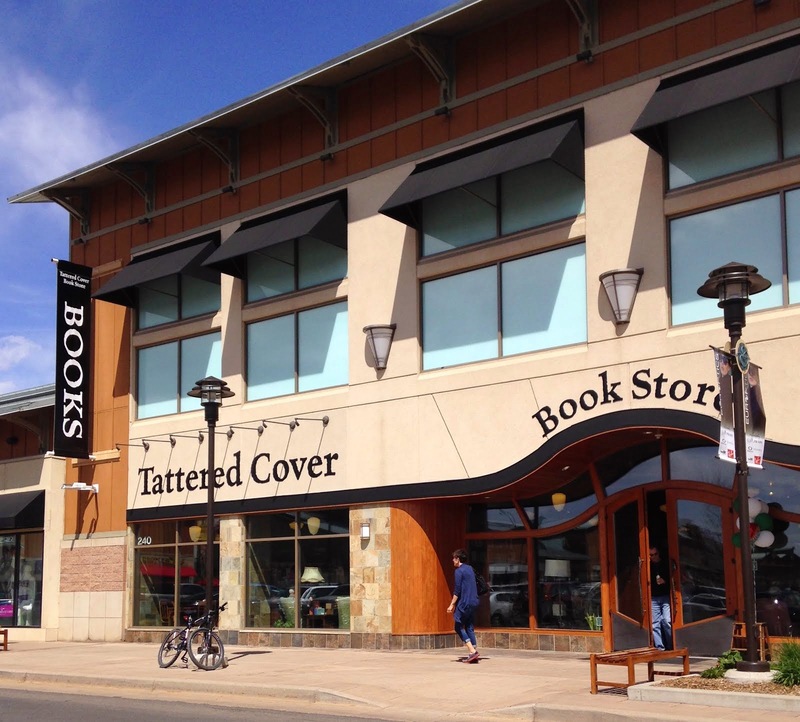 Release Party Today At Our Highlands Ranch Store! Pete says "I couldn't put the damn thing down". TC Tidbits: What IS Manga? Available for Pre-Order in a Galaxy Near You! 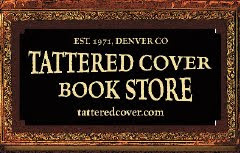 Meet Kat Von D Tonight at 6pm! Dispatches from the Field: "What A Book!" There's A Busy Event Schedule for Foodies! TC Tidbits: Sherlock Holmes Likes To Text? TC Tidbit: Happy 40th Doonesbury and AMP! Don't Miss This Little Gem!